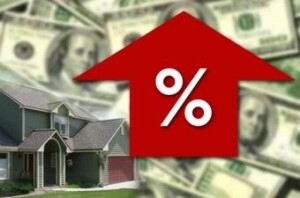 Signs of an improving economy boosted fixed mortgage rates this week, market reports show. According to Freddie Mac, the average rate on a 30-year fixed-rate mortgage (FRM) was 4.20 percent (0.6 point) for the week ending June 12, an increase of 6 basis points from last week’s report. Last year, the 30-year FRM hovered just below 4.0 percent. The 15-year FRM averaged 3.31 percent (0.5 point), up from 3.23 percent in the last report. The increases followed last week’s release of the May jobs report, which showed payrolls performing more or less as expected. In adjustable-rate mortgages (ARMs): The 5-year Treasury-indexed hybrid ARM climbed 12 points this week to 3.05 percent (0.4 point), while the 1-year ARM remained flat at 2.40 percent (0.4 point). Reporting its own national survey results, Bankrate.com pinned the 30-year fixed at 4.34 percent and the 15-year fixed at 3.43 percent, both up 2 basis points from last week. The 5/1 ARM moved up slightly more, climbing 6 points to 3.37 percent. With a week left to go before the Federal Reserve’s next policy meeting, 86 percent of experts surveyed by Bankrate expect rates will remain essentially flat in the coming days. Only two weeks ago, long-term fixed rates stood at their lowest in more than half a year. This entry was posted in Dana Point Real Estate, Home Loans, Laguna Beach Real Estate, Laguna Hills Real Estate, Laguna Niguel Real Estate, Laguna Woods Real Estate, Mission Viejo Real Estate, mortgage rates, Newport Beach Real Estate, Palm Springs Real Estate, RE/MAX Evolution News, Real Estate, San Clemente Real Estate. Bookmark the permalink.